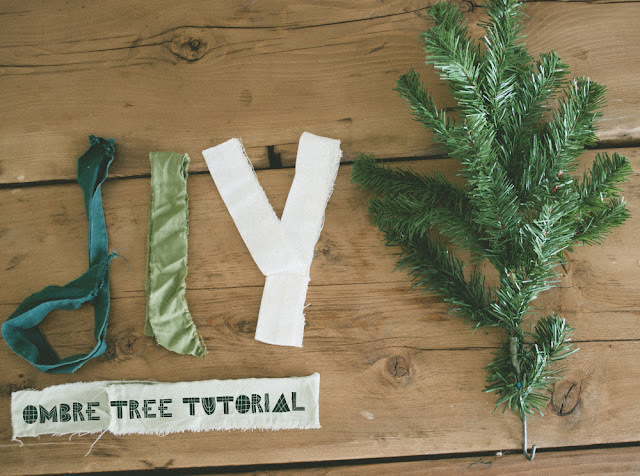 Vintage Whites Blog: DIY: Ombre Christmas Tree Tutorial + Video! DIY: Ombre Christmas Tree Tutorial + Video! Vanessa and I came up with this idea when we were brainstorming unique decor ideas for our Christmas market! It's amazingly simple. A little bit time consuming, but nothing a good movie can't help! - A great movie or tv show you need to catch up on! Begin wrapping! Wrap up and down each branch and limb, and tuck the ends into the already wrapped fabric! You may use more than one strip on each branch depending on how big they are. Simply tie another strip on where your first one leaves off and keep on wrapping! You can either go from light to dark or dark to light...totally your preference! Here's a video on the process of wrapping your branches. It really just takes some patience, but before long, you'll have an amazing tree that you can use year after year, and even in different seasons! 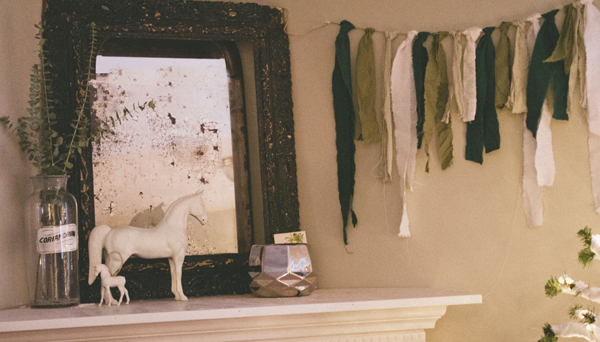 I even made a fabric strip garland from the leftover scraps! Have you followed us on Facebook and Twitter? We've begun revealing details about our Salt Lake City market, and Ruche is going to be there!! Make sure to like us for all the details! This is different and interesting. Wouldn't it be fun in a lame fabric? That wouldn't be thrifty, but sure would be spiffy.